Defined by its flat top, this elegant frame is crafted from thick acetate in shiny black and a fine red lamination on the front and temples. This oversized squared look with a strong brow bar gives a dynamic and masculine finish. 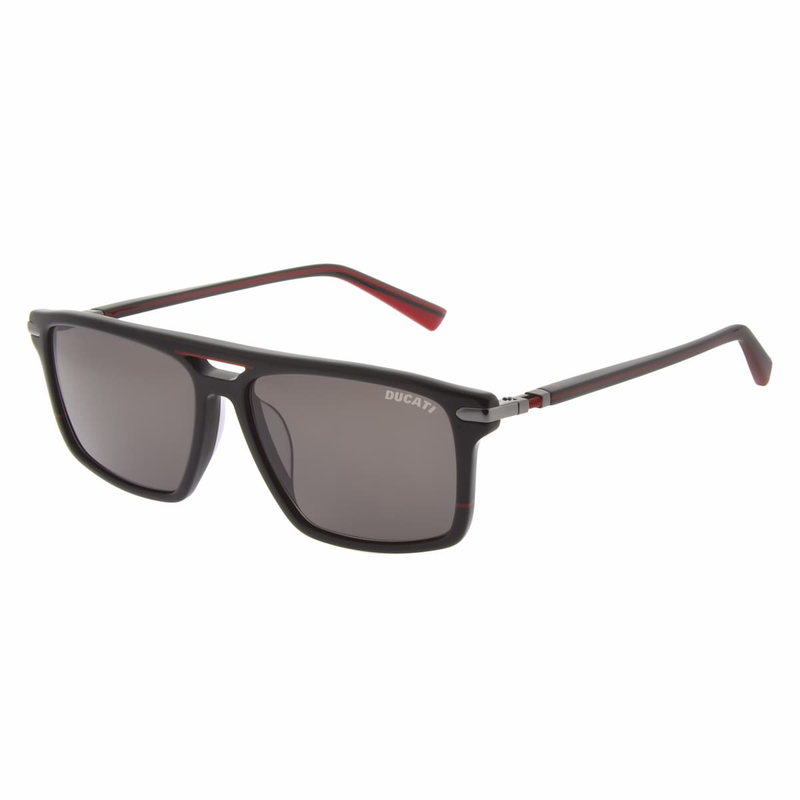 The full acetate temples exhibit a single Ducati spring hinge and a metallic Ducati logo. All this in combination with solid smoke lenses gives them a retro look that never fades.